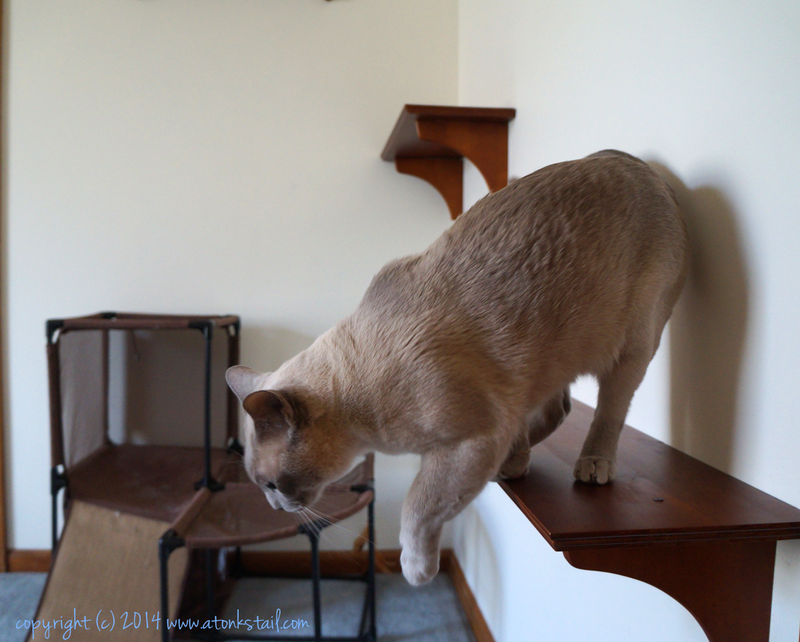 A Tonk's Tail... err, Tale...: Catification + Giveaway! 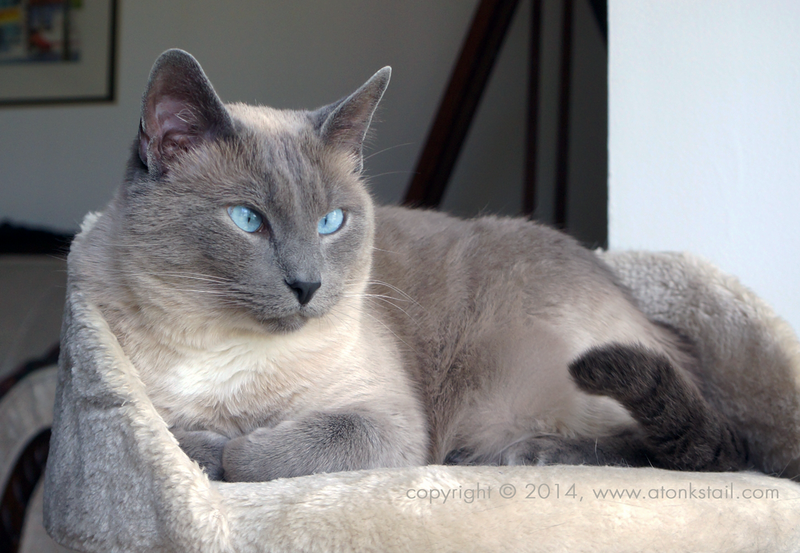 Is your home Catified? Being Catified means you've made a few changes to your living space that takes your feline family members into consideration. Like a cat tree by a window for good bird watching. Or a supercool kitty superhighway, like the one in our spare bedroom, seen in these photos above and below. 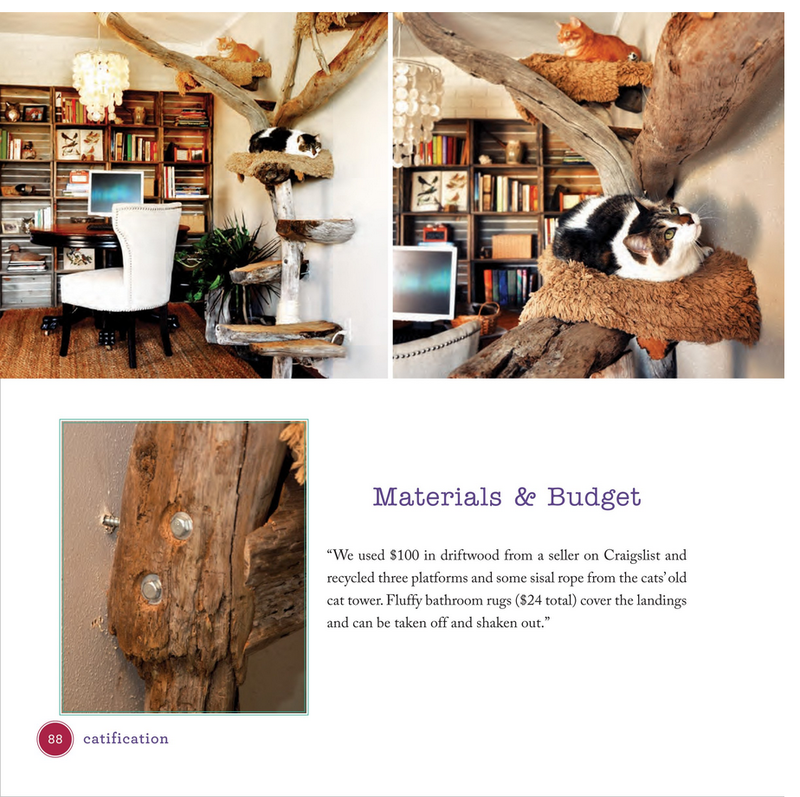 And now, Cat Daddy Jackson Galaxy teams up with stylish Hauspanther maven, Kate Benjamin to bring you a book full of ideas on how you can bring cat-centric yet stylish design elements into your own home. 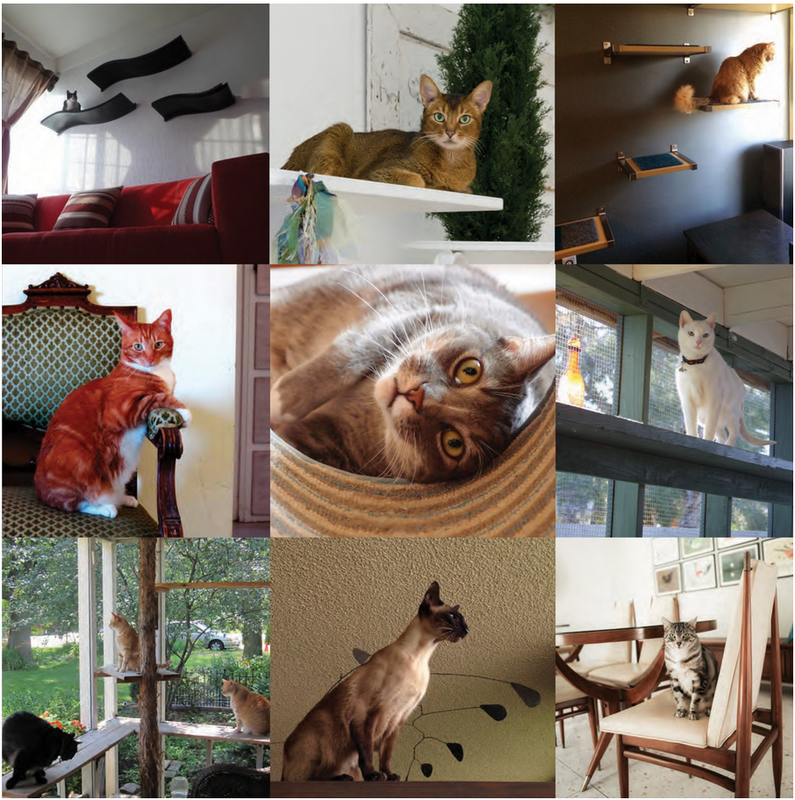 According to Jackson, "Catification is about creating feline-friendly environments that cater to a cat’s natural instincts to climb, perch, rest, play, and own their space." 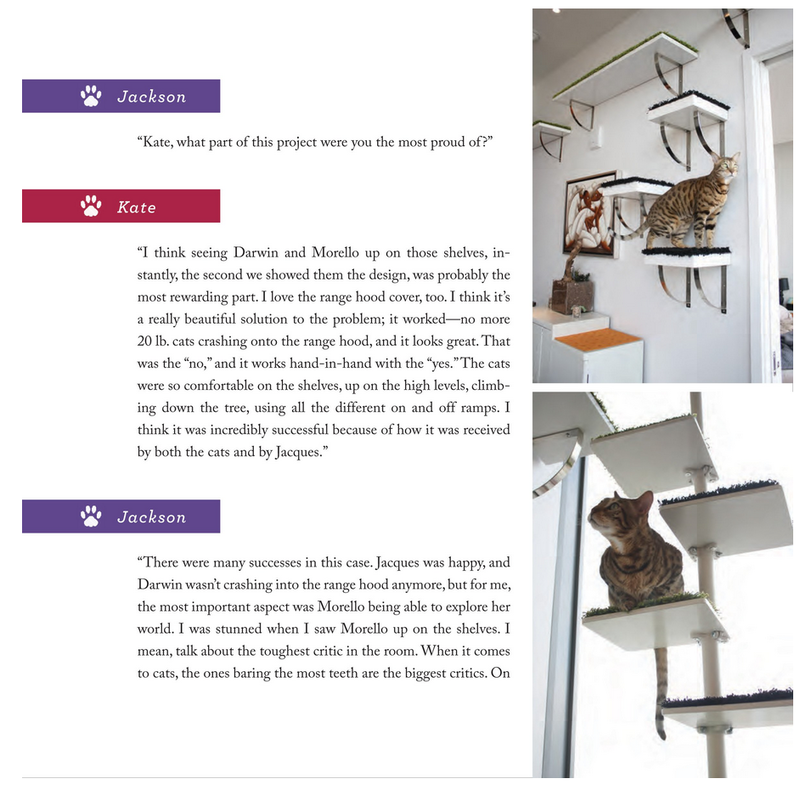 There's plenty to be found in this book, including case studies that explain the difference catification can make in a cat's quality of life. The book is filled with colorful photo examples. . .
and pro tips from the Hauspanther maven! 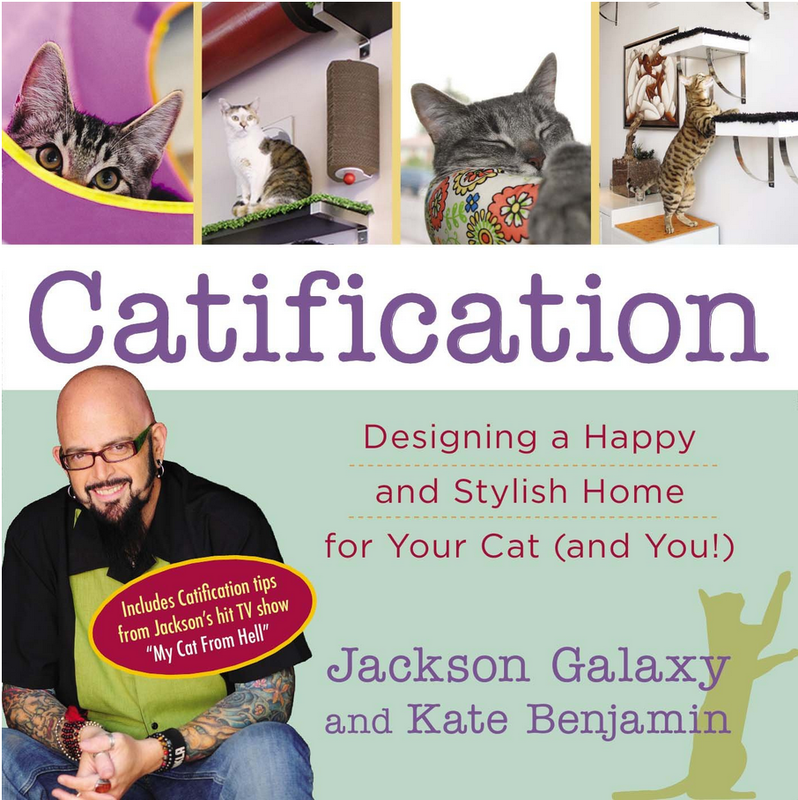 Catification's publication date is October 14, but you can preorder it from Amazon, Barnes & Noble or Indiebound today. In addition, for every copy pre-ordered, $1 will be donated to organizations dedicated to helping homeless cats! 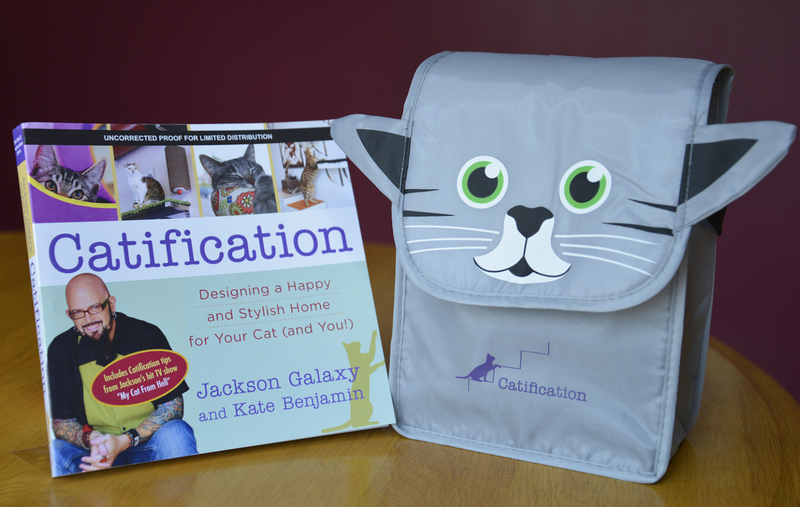 Thanks to Jackson, Kate and their publisher, you can win a copy of Catification for yourself! Not only do you win this limited distribution proof, you'll also get a Catification lunch bag to go along with it. All you need to do is let us know below in comments that you'd like to be included, then come back up and click the big green "I Commented!" button in the rafflecopter widget below. Good luck! Winners will be announced next Thursday, August 21. FTC Disclaimer: This post was sponsored by Tarcher Publications, but I received no compensation for this post other than a sample book to review. Tarcher Publications is not responsible for the content of this post; all opinions in this review are our own. LOL the lunch bag is well cute. Have a marvellous Monday. We would love to be included in this most awesome giveaway! Ok, so this house is not catified!!! "Mum??" 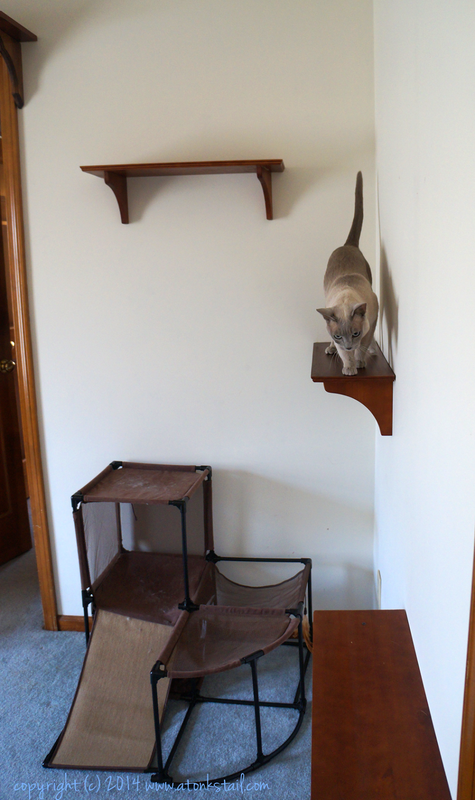 Oh yes, we have made many catifications, lots of them because cat bro Bert is destructive with Mom's stuff. As I dog, I feel we don't need anymore. Heavens, the cats even take over our dog stuff! We need to get Daddy a copy of this book. You won't believe HIS version of catification. He's put cat mats (the ones with plastic spikes) all over the tv cabinet to keep us off it! And on the recliners too. Mommy did get us a new cat tree for the back so we could look out to the back alley. What a fun giveaway! And an adorable lunchbag, too. I can't even think about Catification - you're just too beautiful for words! Oh, I definitely want to be entered. I have three cats and have been working on making our house more cat-friendly (especially since I also have five Treeing Walker Coonhounds, and while they get along great with the cats, the cats DO like to get out of their way when they play rough). We have our cat tree in front of the window but no super highway!! That book looks great and the lunchbox is pawsome!!! Our space is catified...but there is always room for improvement! :) Thank you for your kind words left on Leo's post.They made a difference in softening our loss. That is one cool book! I don’t think the peeps are talented enough to put those shelves up. We have a set sitting in the box. Maybe the book will help. How fun! I can't wait to check out the book - and tell my human what she is doing wrong! I can't wait to get my hands on a copy! I just started covering this topic on my new blog and helping other people brainstorm ways to do this on a budget. Yay for catifiction! 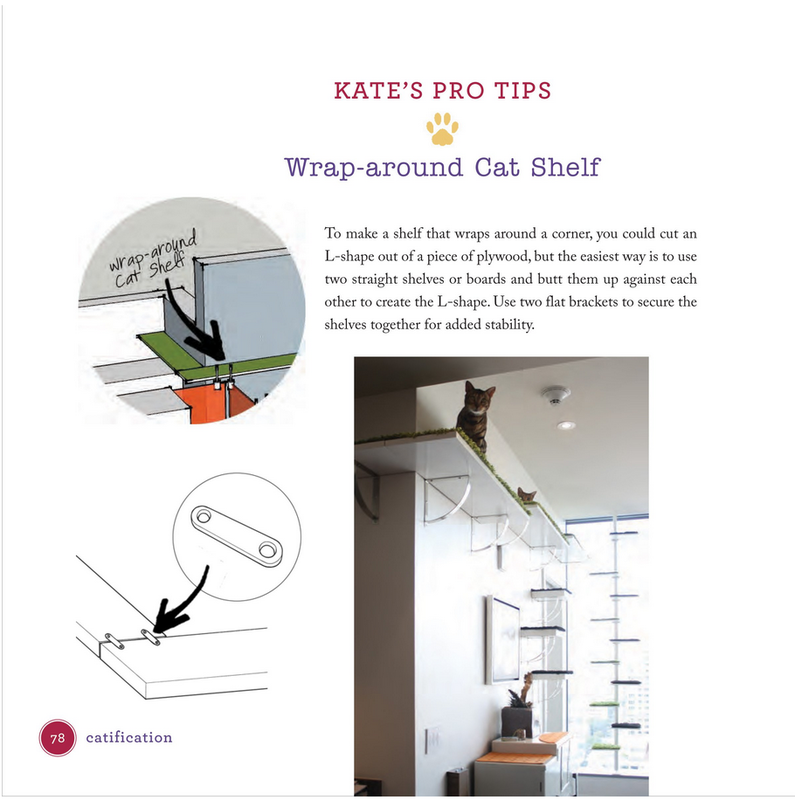 Some of those cat shelves look really cool!! seven cats.. do you think maybe I need it? I'd love to get some ideas to implement at the PAWS shelter. My house could use some more Catification, please enter me. Thank you. I want to be entered into the giveaway! Mom can always improve on our house!